Happy Wednesday folks! 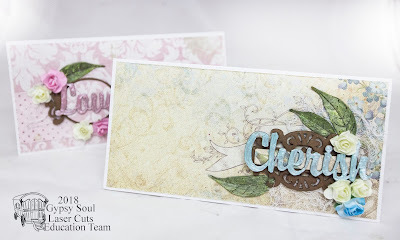 Cherry here at the Gypsy Soul Laser Cuts blog. Easter is coming up quick. 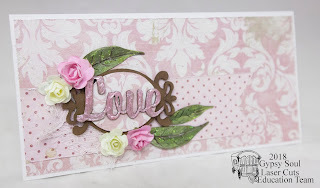 I was in a pastel mood so grabbed some embossing powders and some chipboard pieces from GSLC and had a lot of fun embossing. 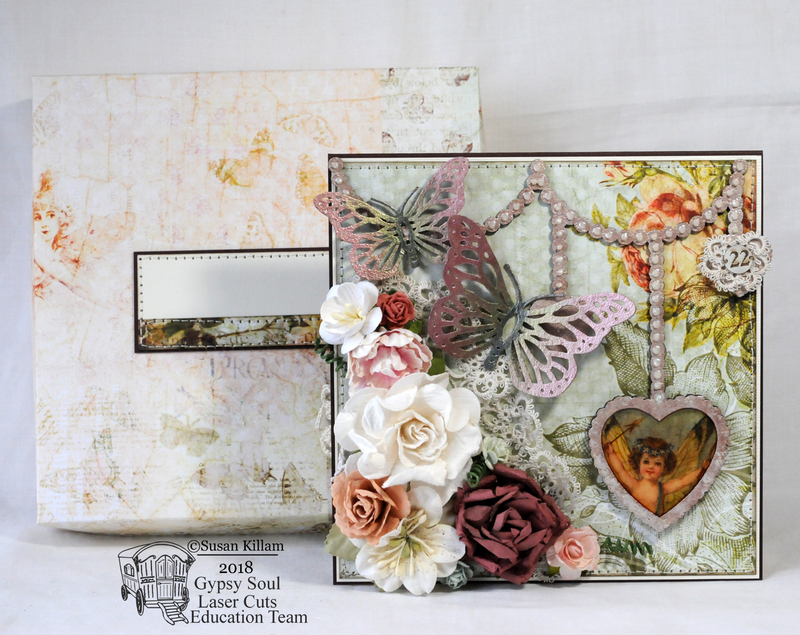 I used the Cathedral Frame along with the postage frames. 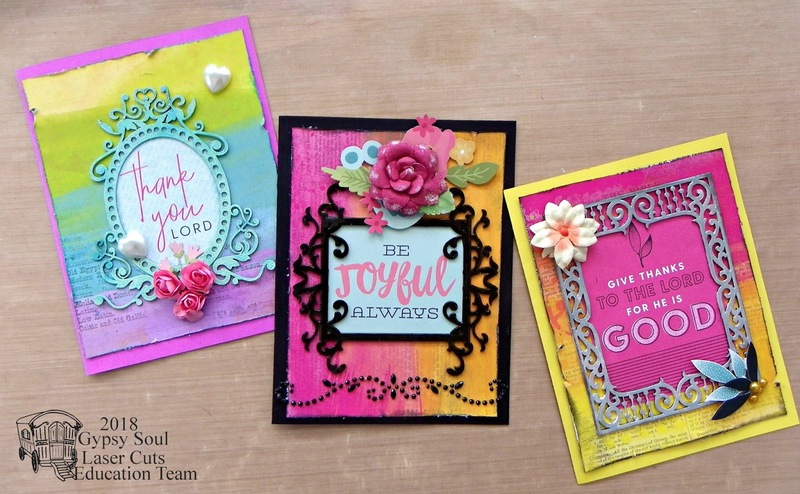 I embossed them both with glitter embossing powders. 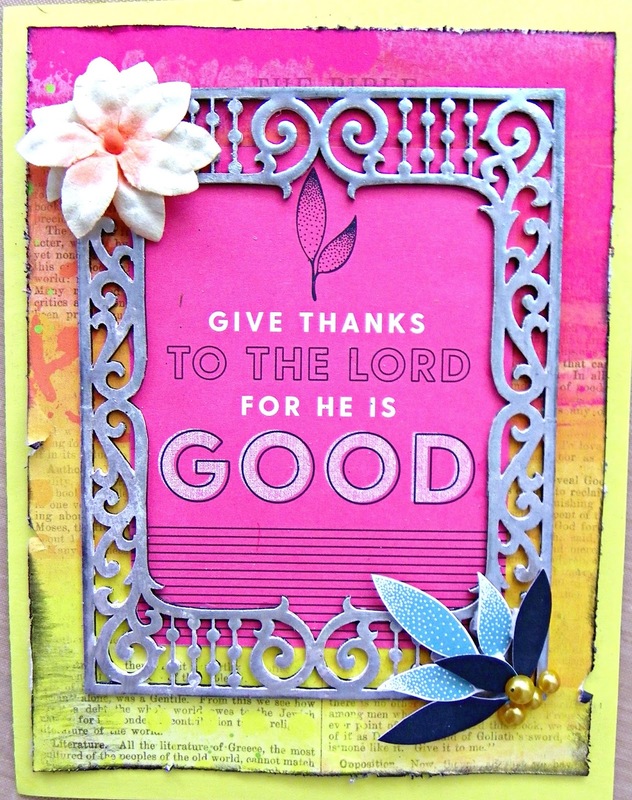 I covered my card stock with pattern papers and a handmade crepe paper fringe border. 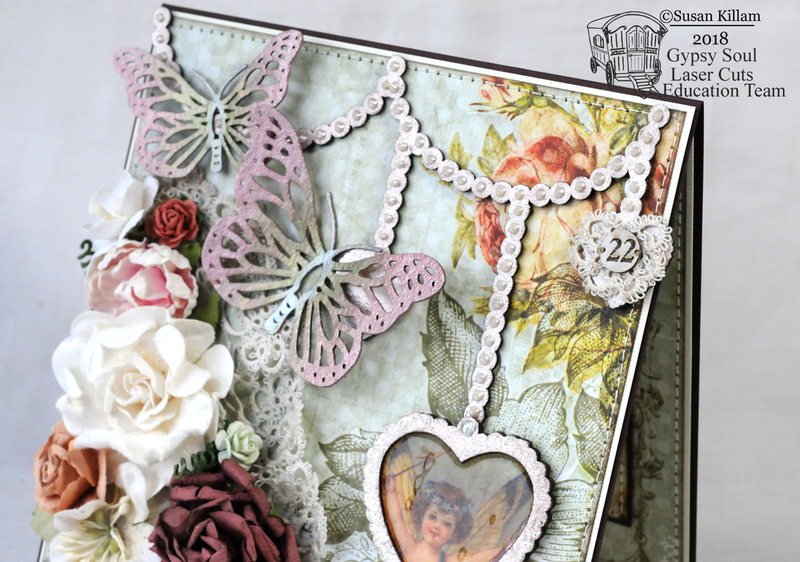 I than added my ribbons and my chipboard pieces with my vintage image. 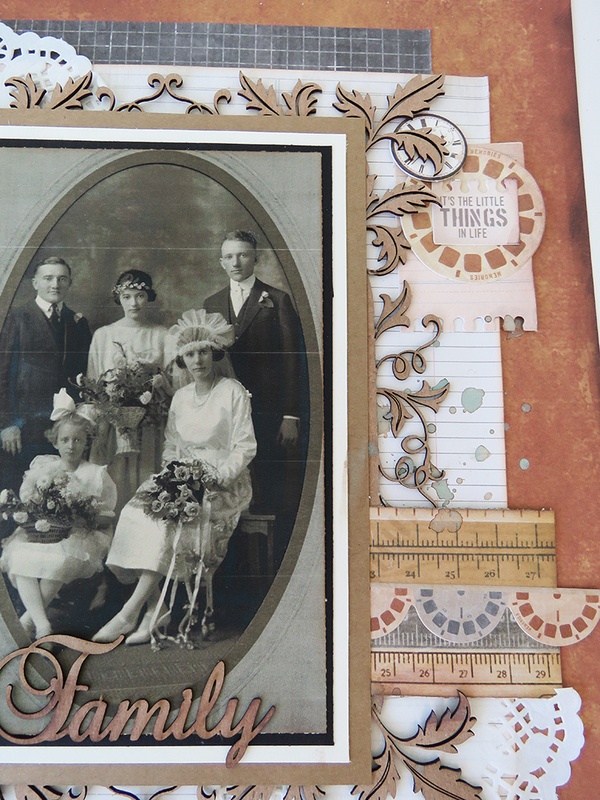 I didn't worry about covering the whole chipboard piece since I knew I would be covering the middle part with images. 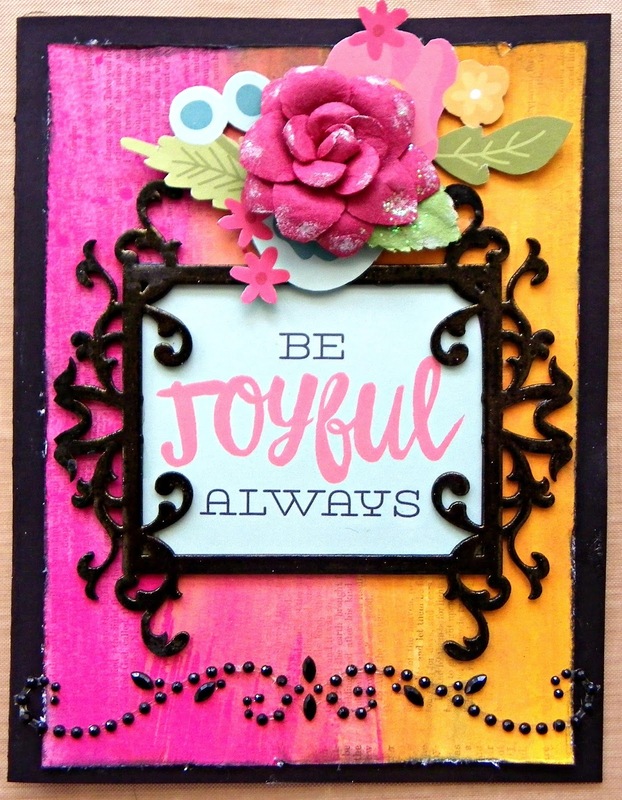 Here it is all done with a few sweet little embellishments. Hello friends! I have an anniversary card to share today. 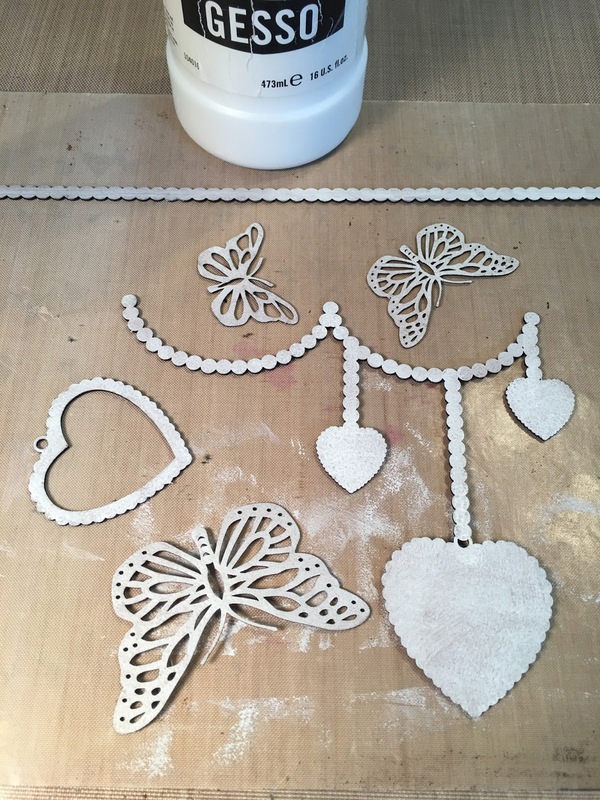 I've used lots of fun Gypsy Soul Laser Cuts bits and bobs including butterflies, heart dangles, and wee little number plates. I made this for my sister Lora, who also happens to be on the Gypsy Soul Laser Cuts education team. 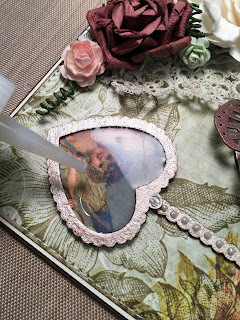 I hope she doesn't take a sneak peek at my post before she receives the card! 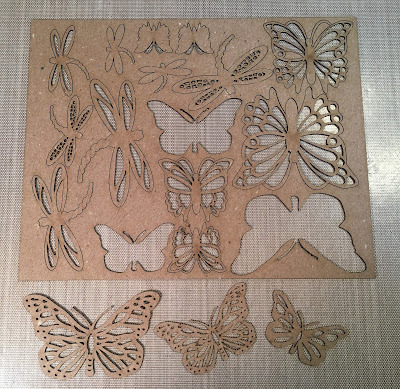 I started with the Butterflies and Dragonflies cut. Look how many choices are on the card! 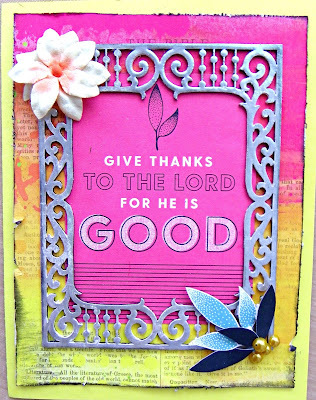 Separate the cuts from the card -- I usually just press a blade into the board at the little stay-tabs. Repeat on the other side if needed. I dabbed white gesso on each piece and allowed to dry. 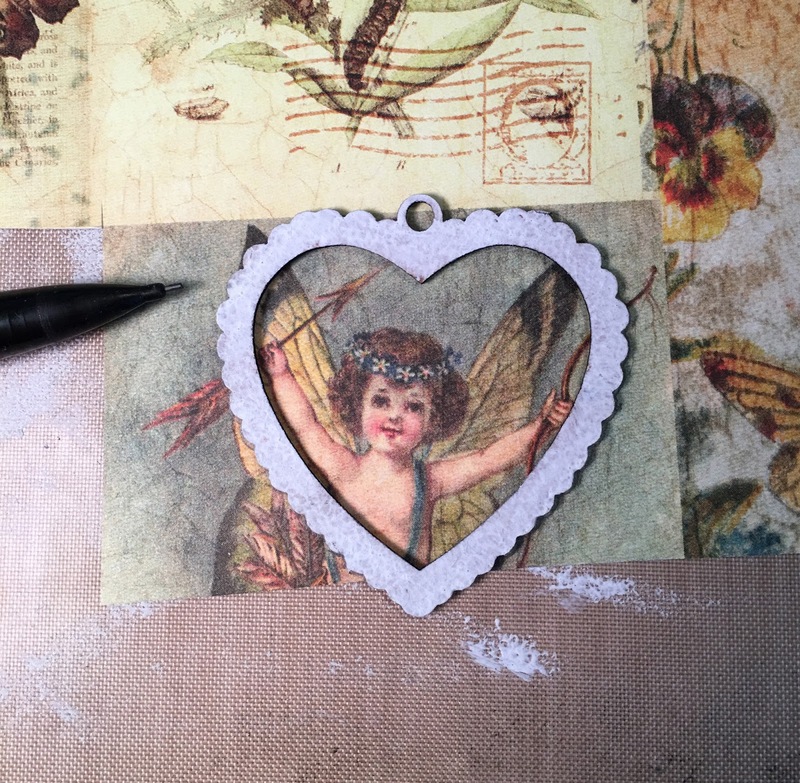 I positioned the heart frame top over the scene I wanted and traced it with a pencil. 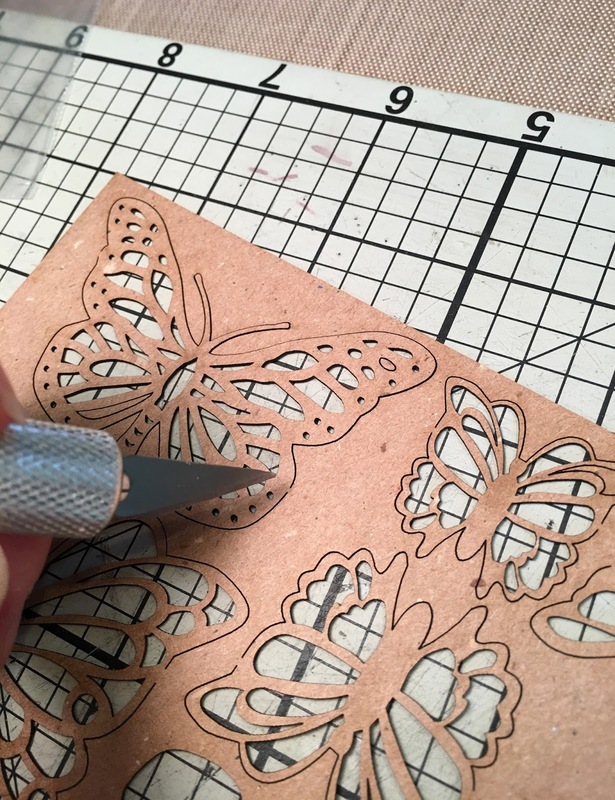 I cut it inside the pencil lines so it wouldn't overlap on assembly and used brown ink on the edges. Paint was next! 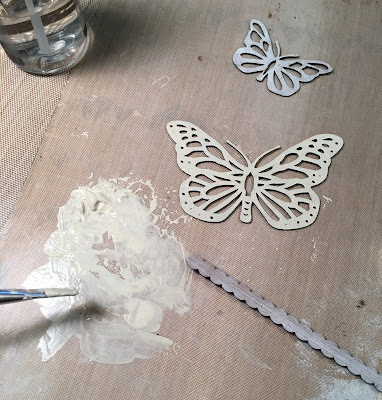 First I coated everything in creme white and quickly became bored with it. I didn't take photos along the way, but I used these paint in roughly the left-to-right order. The white on the end was mixed with colors to lighten them. 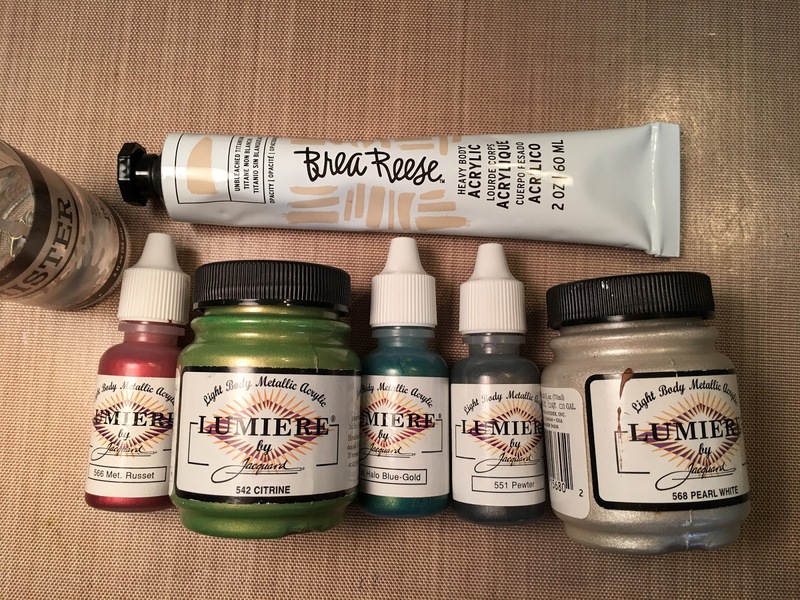 A little water diluted the paints so I could blend them in. Here's the butterfly result. Pretty! 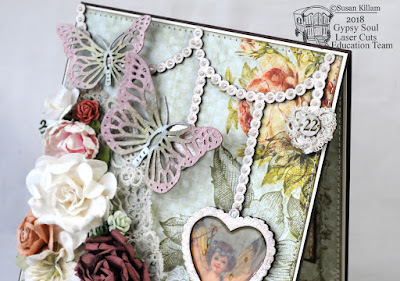 The beaded hearts and bead trim were sponged with very diluted brown paint. 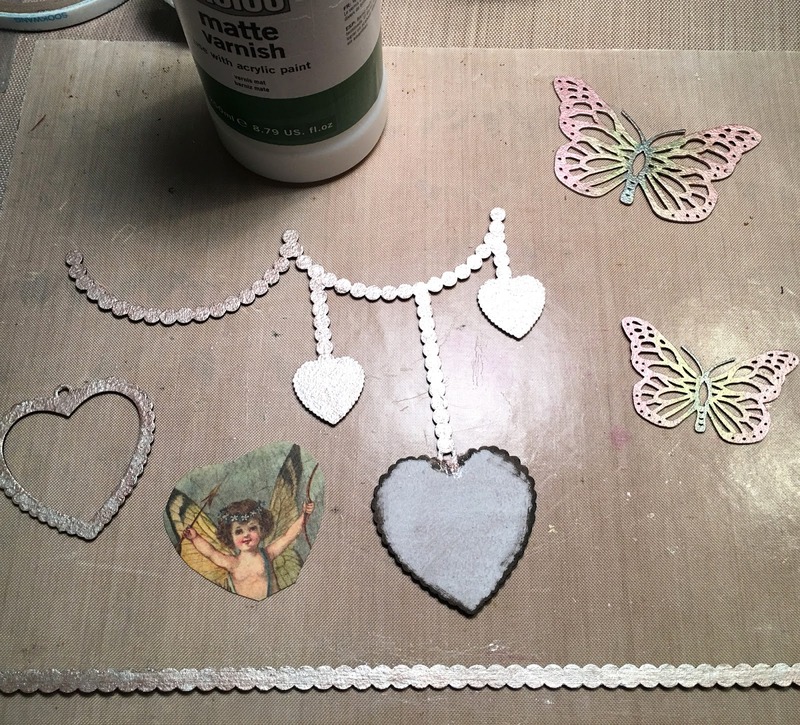 I used a brown marker to color the heart base so white didn't show through. 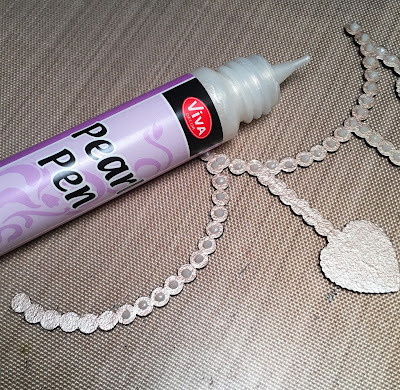 The Viva Pearl Pen is useful for pearls but keep in mind the dots will dry like little daggers if you don't make sure the tops are rounded when applied. I didn't work carefully enough, I'll admit. I ws able to push the dagger dots down a bit once dried. The number plates are finished and don't need any treatment. 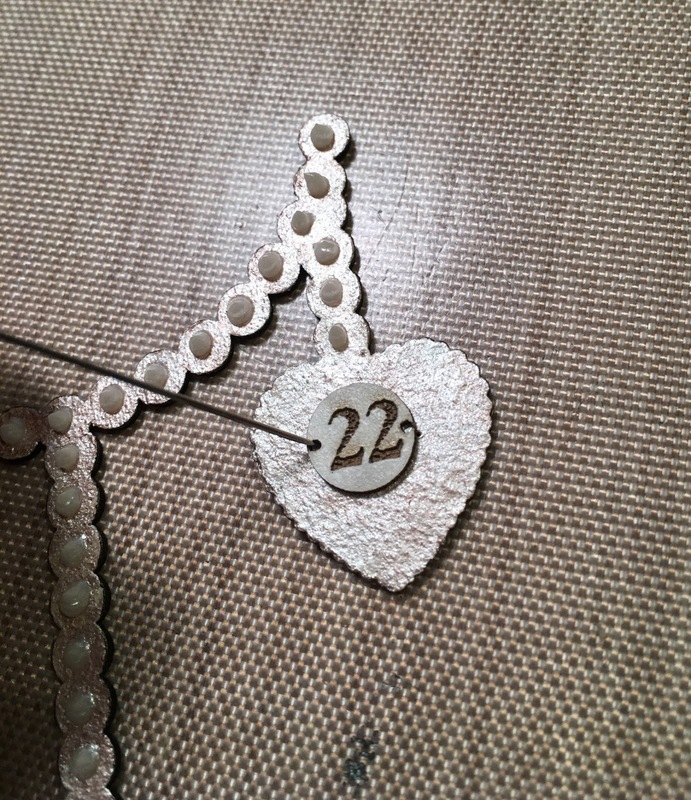 I used a straight pin to poke holes in the beaded heart where I wanted to attach the number plate. 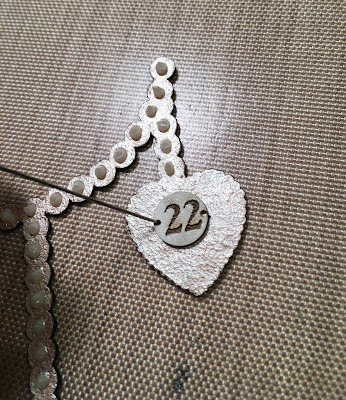 Small vintage eye pins did the trick! 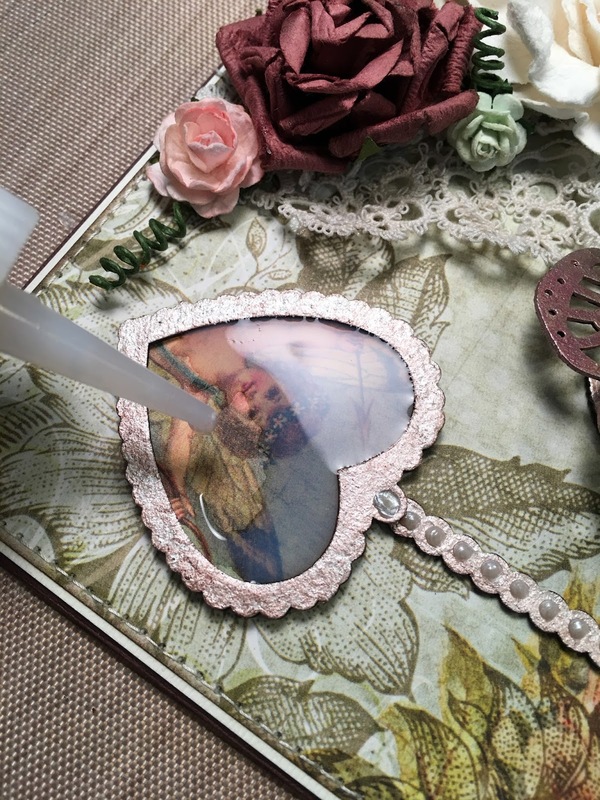 Once the card was embellished I decided to add a glassy surface in the heart using Diamond Glaze. 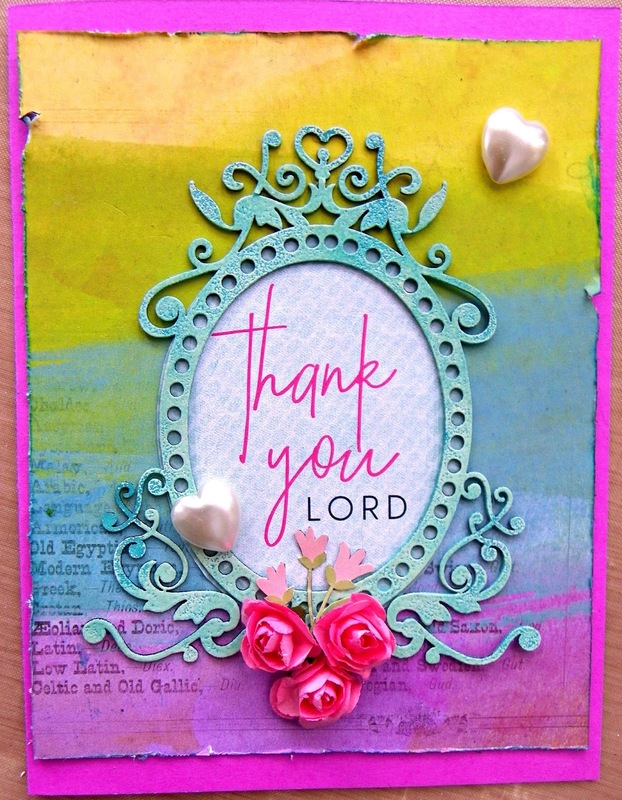 Hello friends-we all have times when we can use some support or encouragement, or just knowing someone is on our side, and the sentiments on these Bella Blvd and Simple Stories faith-based papers were perfect, as was the cheery rainbow-coloured background paper. 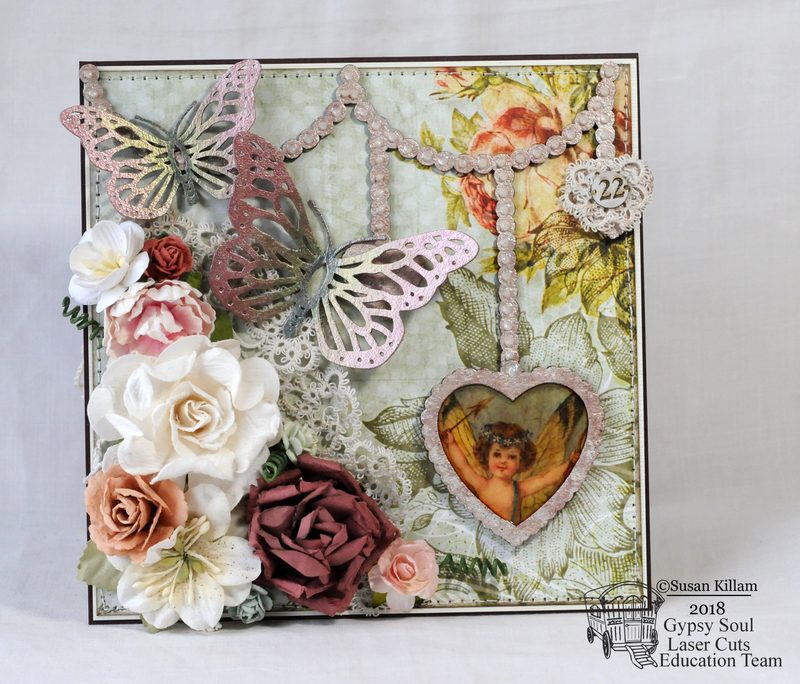 I love so many of the Gypsy Soul frames and have been looking for a chance to incorporate some of them into my projects, and I think they worked really well on my cards. I cut all the card bases 5" x 61/2" and the patterned paper slightly smaller, trying to create a fairly even cardstock edge. 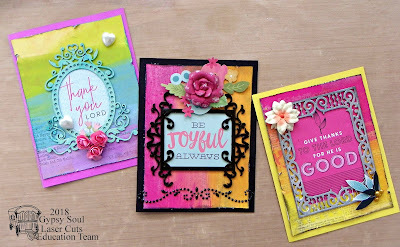 I lightly distressed and inked the edges of the patterned paper, then used Lindy's Stamp Gang embossing powder on all three of my frames. For this card, I used one of the Evie flourished frames, which I primed with black acrylic paint before heat embossing with Lindy's Midnight Gold. I added some bling, fussy cut flowers and a Prima rose. 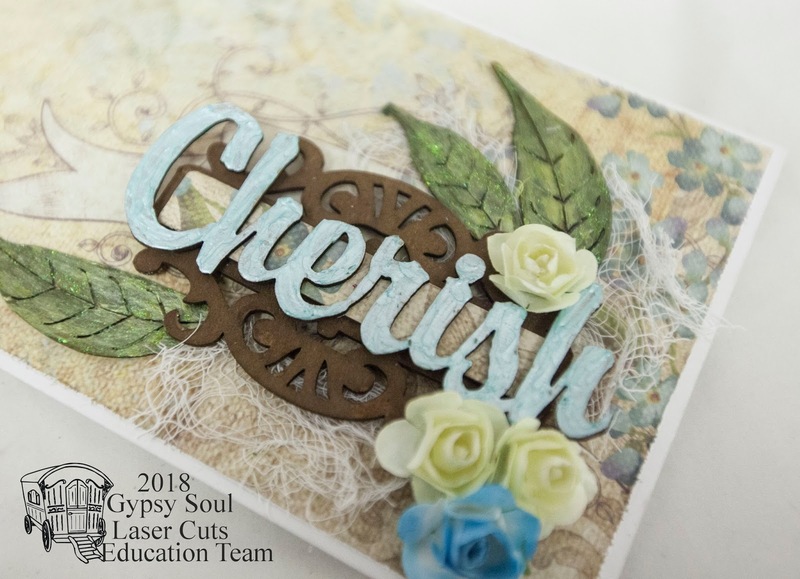 This card was made using the flourished frame Karen, which was primed in white, then heat embossed with Lindy's Silver Moon Turquoise. 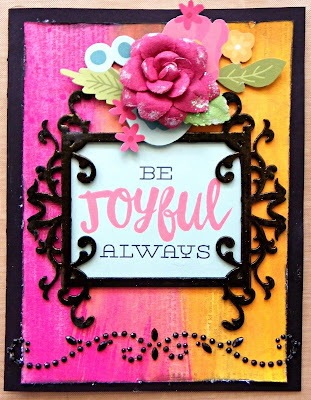 Again I added some fussy cut elements and a flower from my stash. 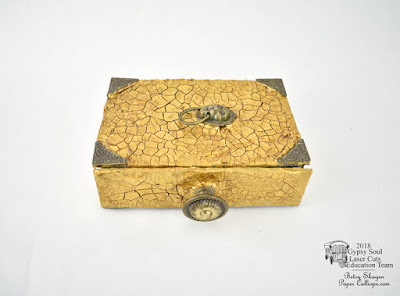 A few golden pearls completed the look. The third card features the flourished frame Elizabeth and was primed with teal acrylic paint, heat embossed in Lindy's Merry-Go-Round Green, then rubbed with Versacolor Turquoise ink. 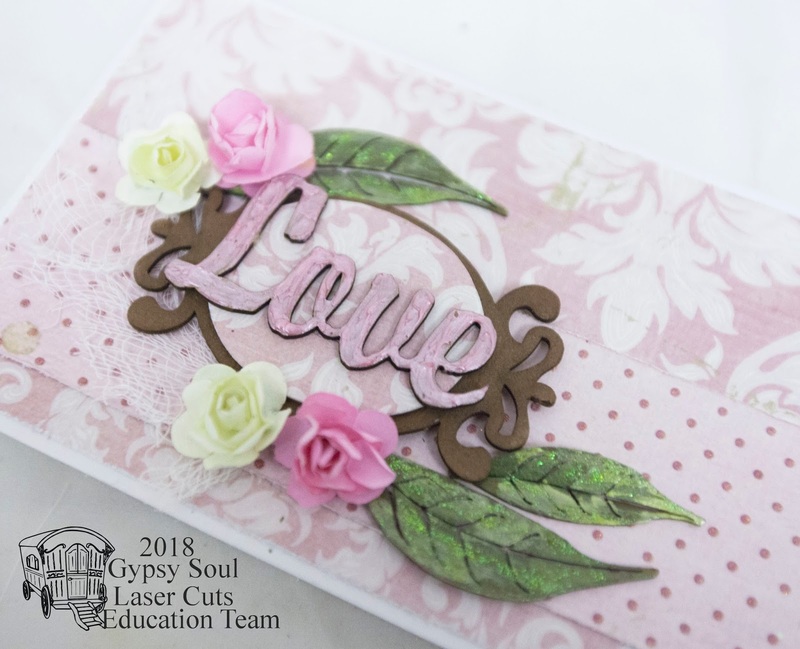 I was going for a certain shade to coordinate with the papers and was happy with the way these colours combined.Chunky pearl hearts and tiny pink roses were added for texture and interest. 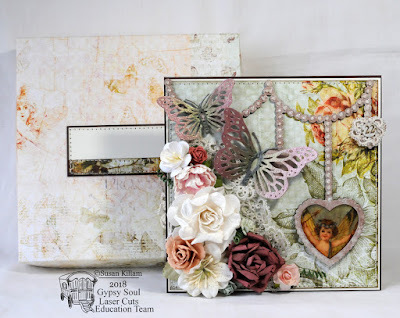 These cards were easy to put together and can be created with a variety of sentiments and papers using these beautiful and versatile frames to set them off-I hope to see how you are inspired to use them! Thanks so much for stopping by! 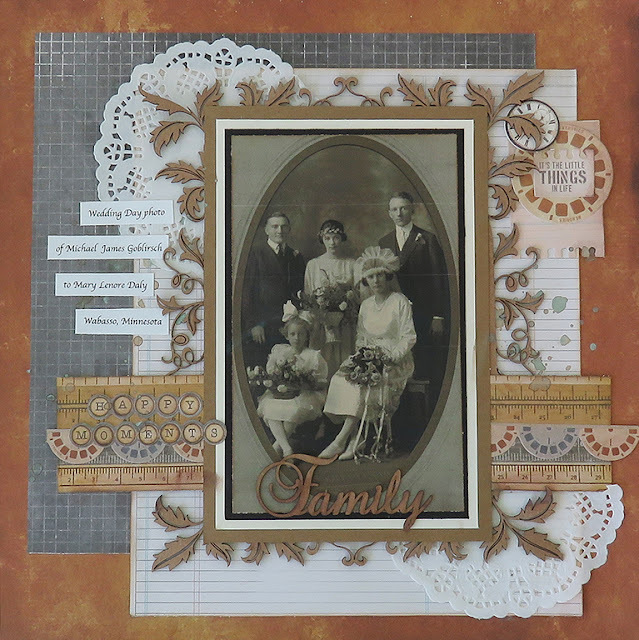 Hi it's Teresa here today and this time I am sharing a page I did for my Ancestry project I am working on with my family. I have been collecting lots of pictures this past year from all the members of my family to make a huge book and if you didn't know already there are lots of frames and borders and corners in the GSLC store for you to use to do it. For my page I used the "Flourished Frame called Bella" behind my picture to add lots of detail like a wedding would have had and also the word "Family" from the new sentiment set called "Words and Phrases 1"
The papers are from Kaisercraft and were the perfect colors with the chipboard to bring this old vintage picture to life. 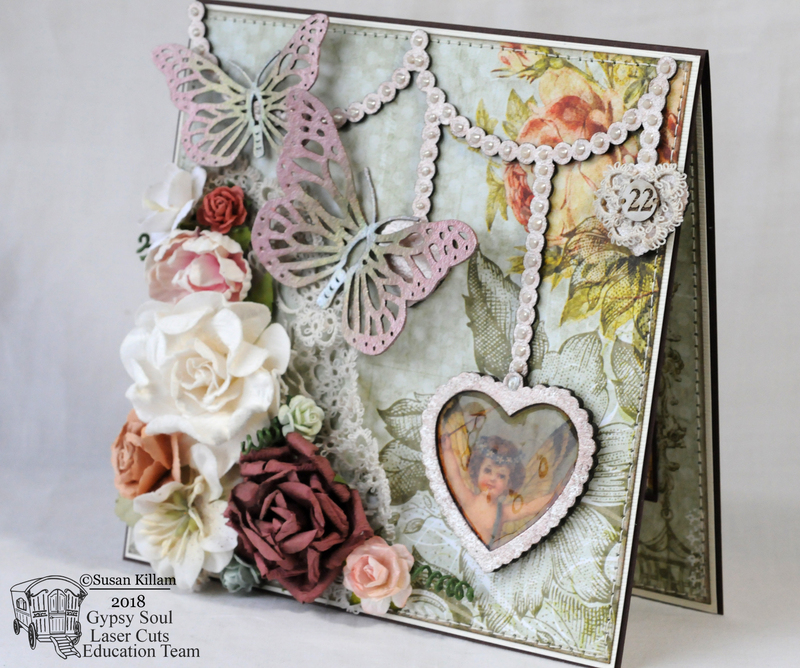 And I just kept the page simple in the backround so that it wouldn't take away from the picture and the beautiful details in the frame behind it. 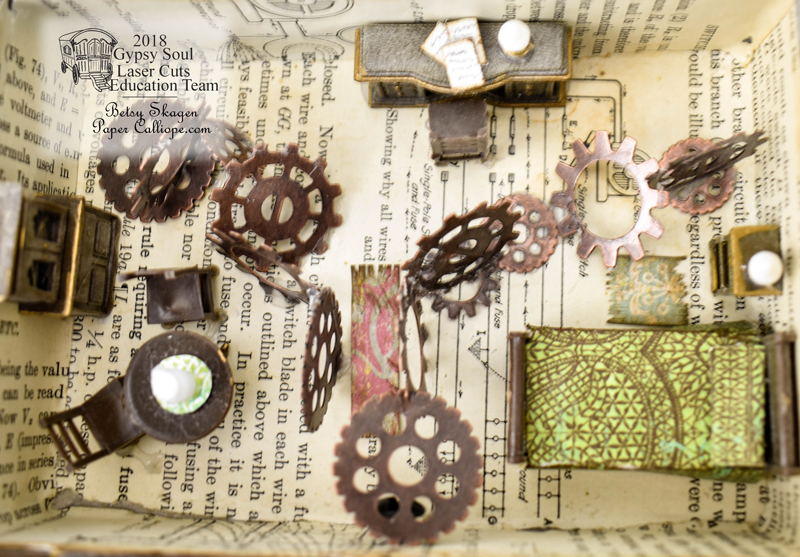 When I was a child I would get lost in book series like the Borrowers and the Littles. They both featured tiny human-like creatures who lived undetected in our homes using discarded or lost items as their furniture--bottlecaps for table tops, thimbles for stools, etc. 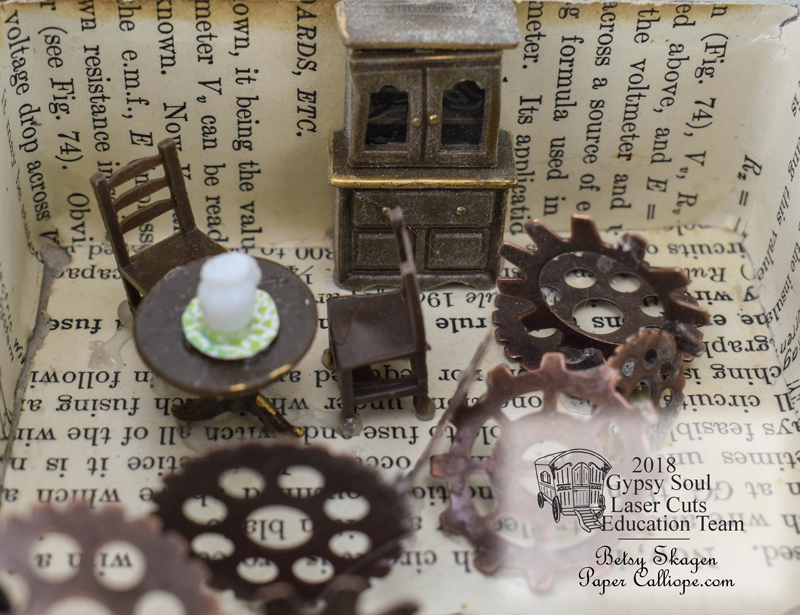 When I saw Gypsy Soul Laser Cuts Hidden Drawer Book Box, I knew this faux book would create a perfect home for fictional tiny characters. 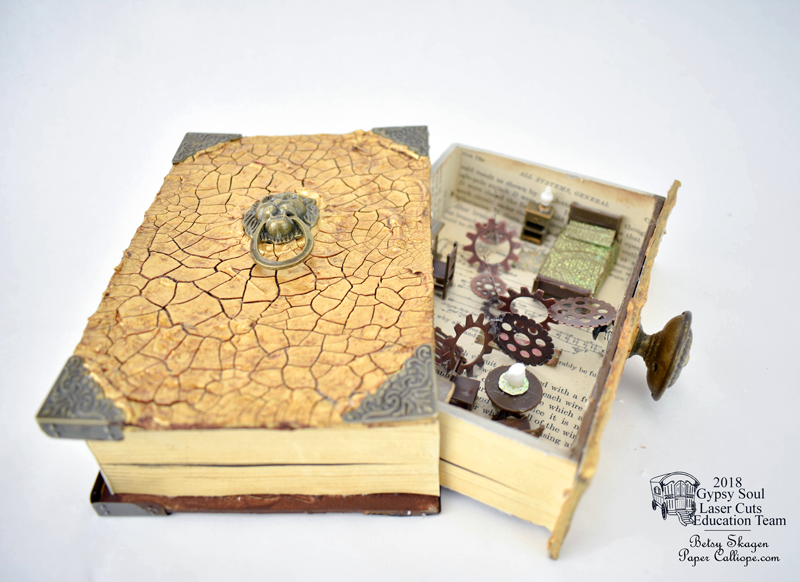 Begin making the Characters in a Book by assembling the Hidden Book Box using a strong glue such as Beacon Fabric Tac. 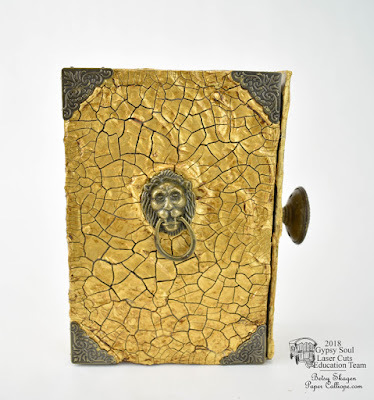 Paint the external surface of the book with brown paint and let dry. Drill a hole in the center of the drawer and add a knob. Trim your metal corners so descending edges will not prevent the drawer from opening. Next apply a thick layer of Gold Texture Crackle Paste to the exterior surfaces of the Hidden Book Box. 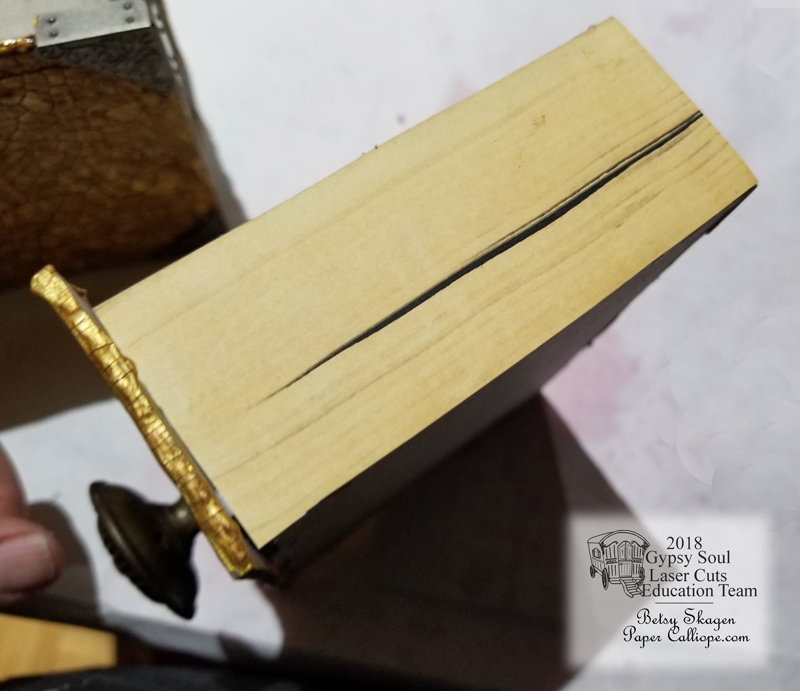 Do not apply the paste to areas where the edges of book pages would typically show. 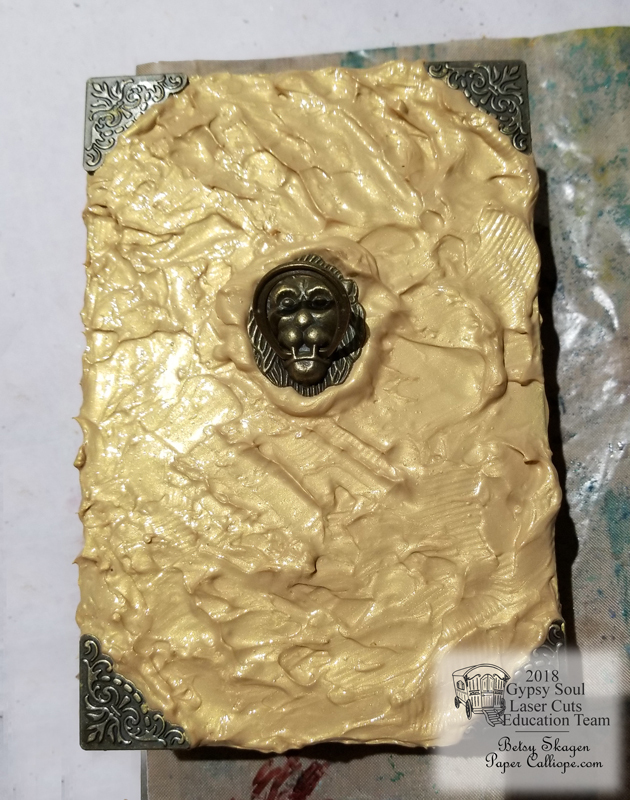 Add metal corners and a lion knocker while the paste is still wet. Allow the paste to dry overnight. Once it is dry, easily remove the metal edges and knocker. 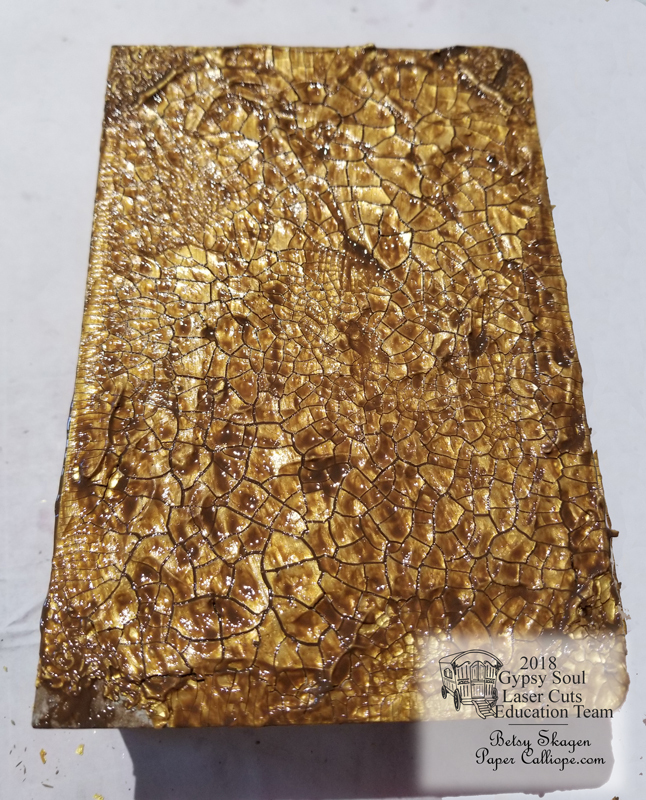 Coat the surface with Brown Cre'me Wax and rub off in with a paper towel, removing all excess. 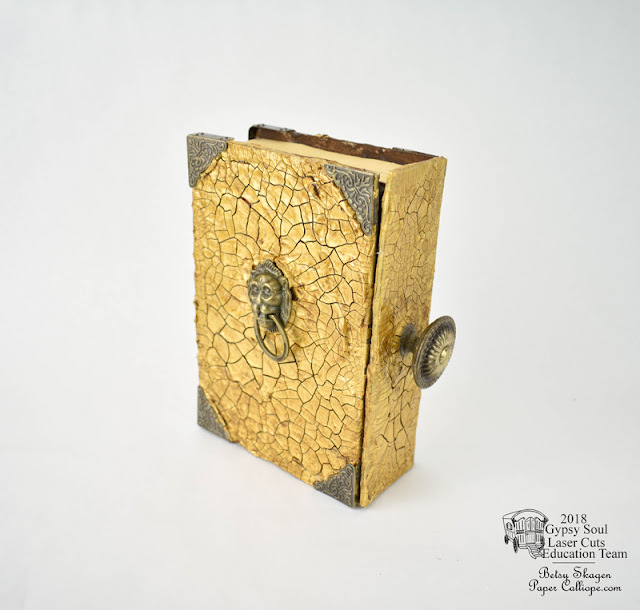 Put a strong glue onto the metal corners and knocker and put them back into place. Print two copies of Alpha Stamps Hidden Book Collage Sheet. 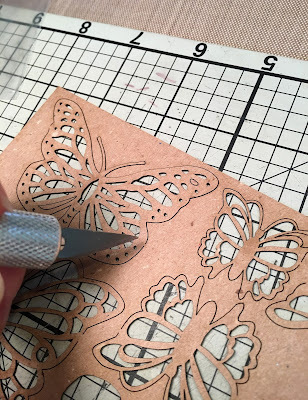 Cut out the paper edges and adhere them to the sides of your book box and drawer. 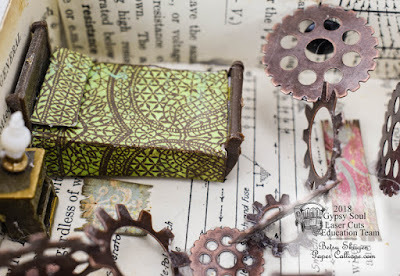 Remove pages from an old book, preferably one with a mechanical theme. 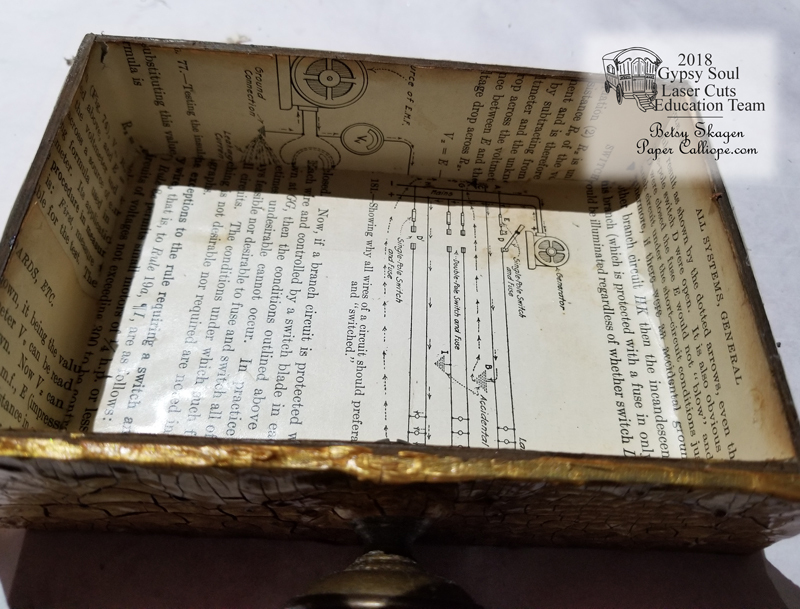 Use the pages to line the inside of the drawer. Increase the aged look by inking the edges with brown ink. Spray matte sealer to protect both the interior and exterior. Next create small rooms and hallways by assembling and gluing together metal gears with a strong adhesive. 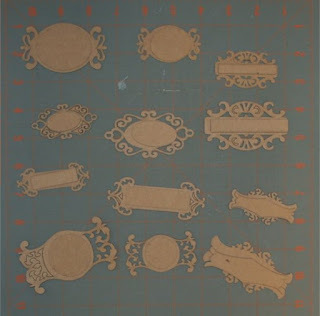 Make rugs, bedspreads and pillows from decorative paper and glue in place. Glue the miniature furniture in place. Make some tiny papers for your desk and your little home is complete. 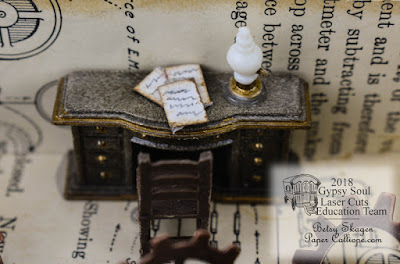 Now all you have to do is wait for some teeny tiny occupants to arrive! Today I have created a sweet card set using stackable labels, words and leaves from Gypsy Soul Laser Cuts. 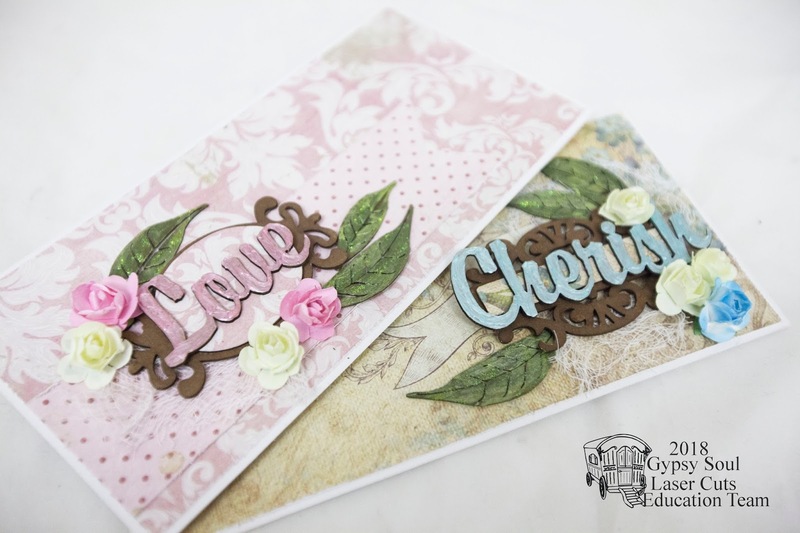 I started with some vintage style background papers from the same collection, but in two different colour schemes. This means that they will co-ordinate together, but each stands alone as a piece of art. I wanted to create layers and dimension on the cards along with some texture, so to create this I have treated each chipboard layer with a different technique. 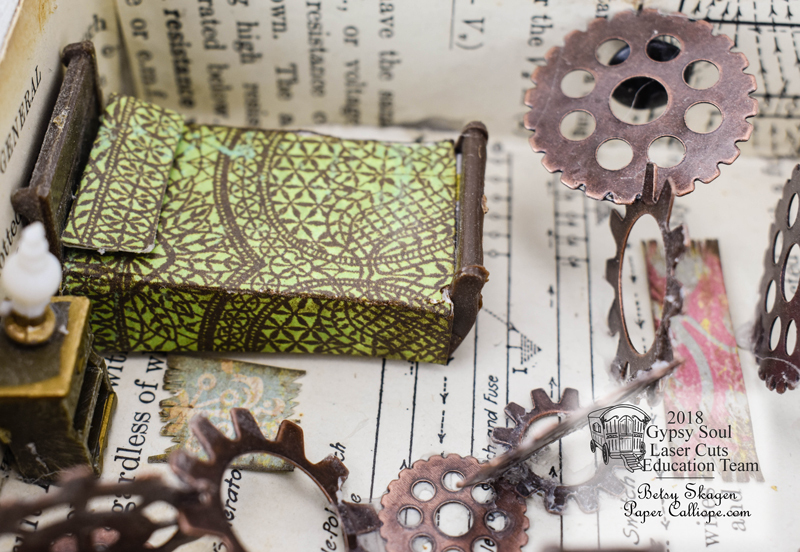 The first layer of the Stackable Labels Shape Set pieces are inked with brown distress ink. This creates a matt finish that is fairly subtle. 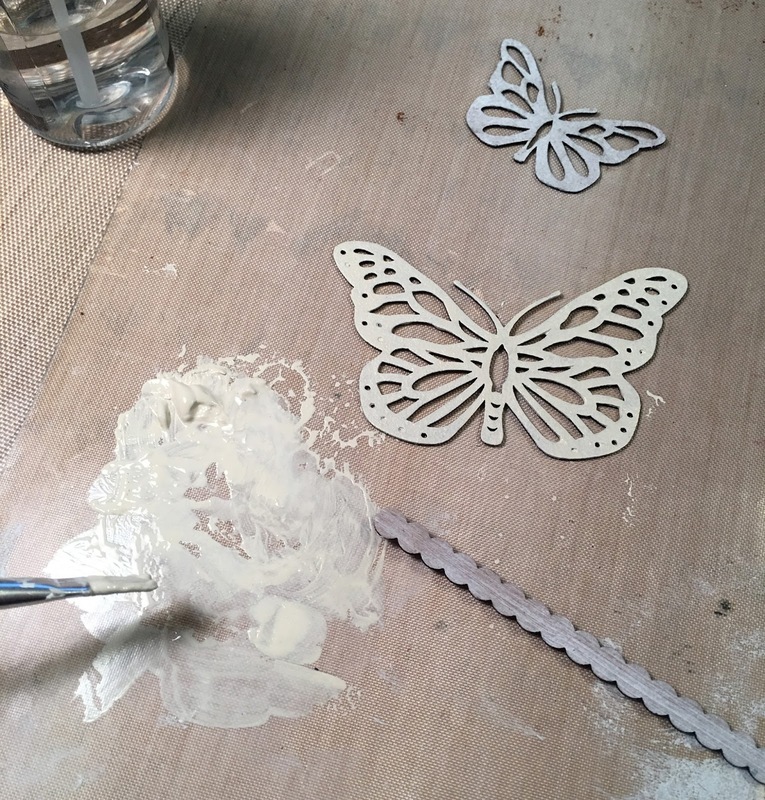 (tip: if you want to create a more vibrant colour effect using ink, paint the piece with gesso first). 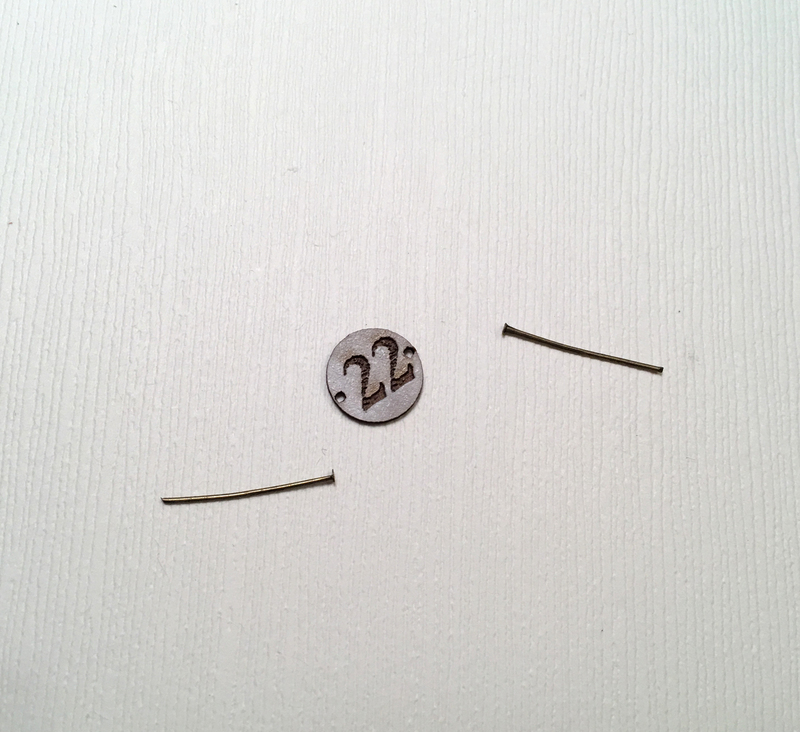 The next layer is the plain label centre. 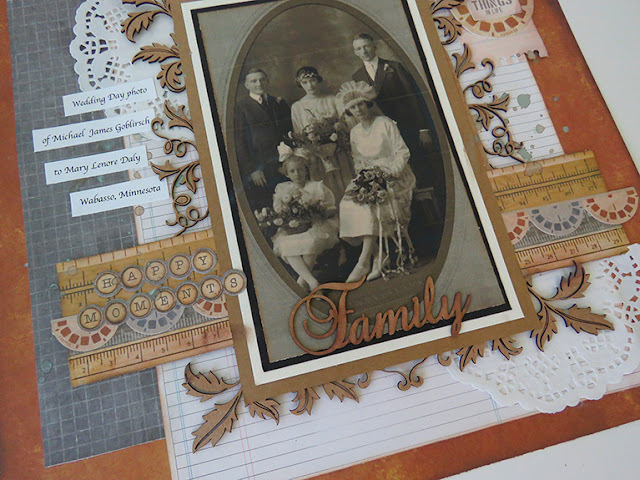 For this I covered the piece in the same patterned paper as the background. This helps to create a cohesive flow across the project. 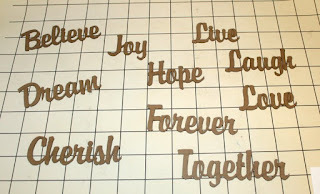 The next layer is the word from the 10 Words set. For this I used dimensional pearlescent paint which I painted on directly using the nozzle to ensure complete coverage. I kept the paint fairly think, and by pushing it around with the nozzle, I was able to create a great textured finish, along with the shimmer of the paint. The final layer was the Skeleton Leaves. 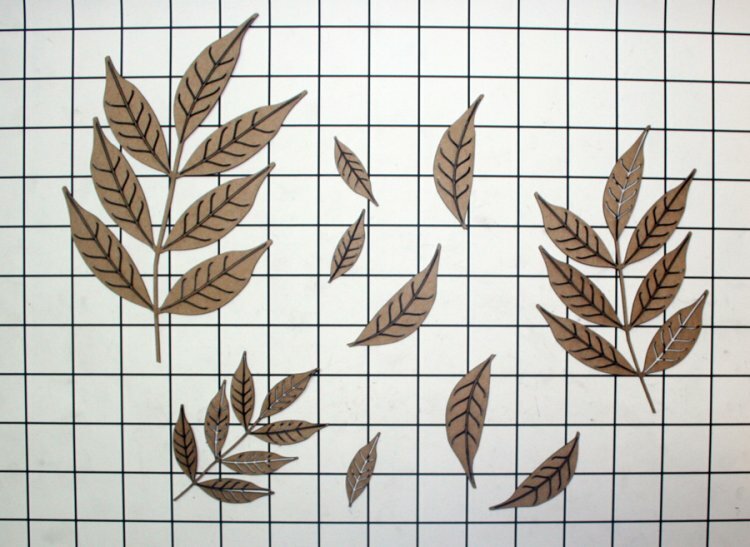 This set is great value, as you can use the leaves as a full branch as seen, or separate them for a bunch of individual leaves. These were done as a combination of the other techniques. First I applied ink to give some background coverage. 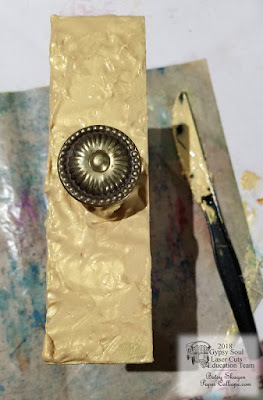 I then added dimensional paint in two different shades, except this time I swiped it on with my finger to achieve a more variegated look. Finally I added some clear glitter glue across the top, before slightly shaping each piece and adhering to the card. 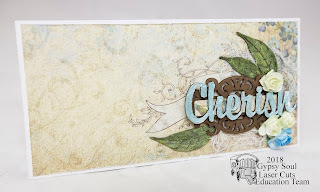 You'll notice that the rest of the card design is deceptively simple allowing the eye to focus on the chipboard cluster which I created off centre to make interesting use of the residual negative space. Snowman Love . . .